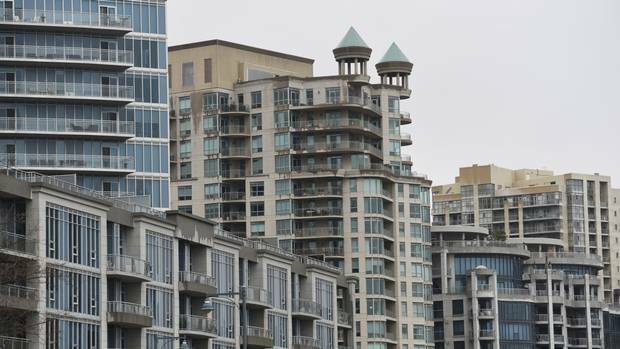 The Real Estate Market How can Ontario tame Toronto’s ‘dizzying’ housing market? How can Ontario tame Toronto's 'dizzying' housing market? Two days before Wednesday's federal budget, Ontario Finance Minister Charles Sousa threw one of his government's hottest potatoes into the lap of the federal government. Facing outrage in the Toronto area about runaway house prices, Mr. Sousa said on Monday that he had written to federal Finance Minister Bill Morneau urging him to raise the amount of capital-gains tax that investors must pay when they sell a house that is not their principal residence, arguing it would curb speculation in Toronto's market. Mr. Morneau sidestepped Ontario's proposal in his Wednesday budget, however, announcing additional funding for Statistics Canada to gather more data on real estate trends, but revealing no measures aimed at curbing house-price growth. With Ontario's budget coming up in April, the ball is now in Mr. Sousa's court to reveal whether he plans to do anything about an issue that has become one of the hottest topics of concern throughout the Toronto area. While Mr. Sousa doesn't have all the levers of the federal government, experts say many of the policy options they believe are best suited to curb speculation in the market are squarely in the domain of the province to adopt, including a foreign buyers' tax on Greater Toronto Area properties, a speculation tax on property flipping or a property-tax surcharge for foreign owners. Bank of Nova Scotia chief economist Jean-François Perrault says Toronto's market is reaching "dizzying heights" and he believes speculation by investors – both domestic and foreign – has been a factor that has emerged on top of strong domestic demand and a lack of supply. Based on the standard relationship between new listings and price appreciation, he calculates home prices should currently be rising by about 15 per cent annually. Prices have far surpassed that level since late last summer. After Vancouver imposed a 15-per-cent tax on property purchases by foreign buyers in August, investors immediately swung their attention eastward and home prices soared. The average detached home in the Greater Toronto Area sold for a record $1.2-million in February, up 32.5 per cent from the same month a year earlier. "There are clearly elements of speculation in the market," Mr. Perrault said. "There's no doubt about it." Many are now warning the market has become a bubble, with house-price growth reaching unsustainable levels. "The situation we are in – negative real interest rates and a tide of capital washing around the world in search of safe assets – is unusual, perhaps without precedent," said Doug Porter, chief economist at Bank of Montreal. "Thus, the policy response must also be unusual." John Pasalis, president of Realosophy Realty Inc., a Toronto-based real estate brokerage firm, argues the province should enact multiple reforms in its next budget because there are so many factors driving up prices that it requires several solutions to address the problem. "I think we we need a big stick right now," he said. "It's not one of those things where there's an easy fix." Mr. Perrault's favoured policy response is a tax that would be imposed by the province on single-family homes that are flipped within a short time period – perhaps up to two years – after their purchase date. The speculation tax would be a percentage of the sale price of the house, and would be graduated, with people paying more tax when properties are sold within the first six months of their purchase, then gradually less as time goes on. He has not calculated the level of tax that would be needed to deter speculation in Toronto's hot market. Mr. Perrault believes a tax on flipping would reach a broader array of speculators than a tax on foreign buyers, who account for a small proportion of all sales. He said revenue from the tax should be allocated toward help for low-income or first-time home buyers or toward subsidized housing. Mr. Pasalis at Realosophy is also a strong advocate of a speculation tax to curb flipping, saying many of the real estate investors he sees are domestic buyers, not foreign speculators. "This is generally what policies should discourage – they should discourage speculation in single-family homes. It's not good, it messes up our entire market and it makes housing less affordable for buyers," he said. He argues, however, that the tax should only apply on homes that are not the owner's principal residence, and should continue for up to four years because many speculators in Toronto tend to hold properties for several years. However, Mr. Porter from Bank of Montreal believes a speculation tax may be too strong a measure as a starting point. If Ontario uses all its policy ammunition at once, it may go beyond what is needed to cool the market. "I suspect it would be best to take it one step at a time, and keep some further, stronger options in reserve," he said. Mr. Porter argues the province should start more modestly with a foreign-buyers' tax similar to the one introduced in British Columbia, which appeared to work to cool the market without leading to a big price correction. "I don't believe that anyone thinks that a tax on non-resident buyers will instantly cure all ills in the GTA housing market," he said. "But at the very least it may take a bit of steam out of the market, which may be just what the doctor ordered." Mr. Pasalis from Realosophy also wants Ontario to also adopt a measure imposed in Australia, which has generally banned foreign buyers from purchasing resale homes – homes that are already built and are being resold – unless they plan to live in them full-time. Instead, they are only allowed to purchase newly built properties if they receive approval. Mr. Pasalis said the policy curbs speculation in resale homes and ensures local buyers are not priced out of the market, while also channelling foreign capital into new construction that builds a bigger supply of housing for the future. However, Mr. Perrault from Scotiabank said he isn't convinced the Australian solution would have enough impact because Toronto appears to have a lower percentage of foreign buyers than some of the hottest markets in Australia had prior to the imposition of the rule. Banks spot evidence of a housing bubble. What took so long? Outside observers, such as the IMF, have been sounding the alarm for years. Josh Gordon, an assistant professor of public policy at Simon Fraser University, argues the best policy solution for Ontario is an extra tax imposed annually on foreign owners of property in the Toronto area. The idea is to create an annual property tax for people who own expensive residential property but do not participate in the local labour market or pay taxes in Canada, said Dr. Gordon, who recently completed a study on Toronto's housing market for the Ryerson City Building Institute. The progressive property tax would be based on the assessed value of a property, he says, and would be imposed only on properties above a certain value threshold. It could start at 1 per cent of the value of a property, and be raised in increments for more expensive homes. The tax would be paid by people who did not pay income tax in Canada in the prior year, which means it would be paid both by foreign buyers and by people with Canadian citizenship who work and pay taxes abroad. However, it would exempt senior citizens and some others who do not work. The tax would require co-ordination between levels of government to confirm an owner's income tax status, property ownership and the assessed value of the home. Do you rent in Toronto? The Globe wants to hear from you Vacancy rates are low, and some rental data show sharply higher prices. Tell us about your experience. The Ontario Real Estate Association, which represents real estate brokers in Ontario, has opposed a foreign buyers' tax in the province, and is instead urging governments to deal with the "supply" side of the equation by taking measures to increase the stock of available housing in the Toronto area. An OREA spokesman said the organization is still developing its policy recommendations for the provincial budget in April so could not detail its specific proposals. But OREA issued a statement in early March, calling on Queen's Park to create a task force of housing experts to work on solutions to increase the housing supply in Ontario. 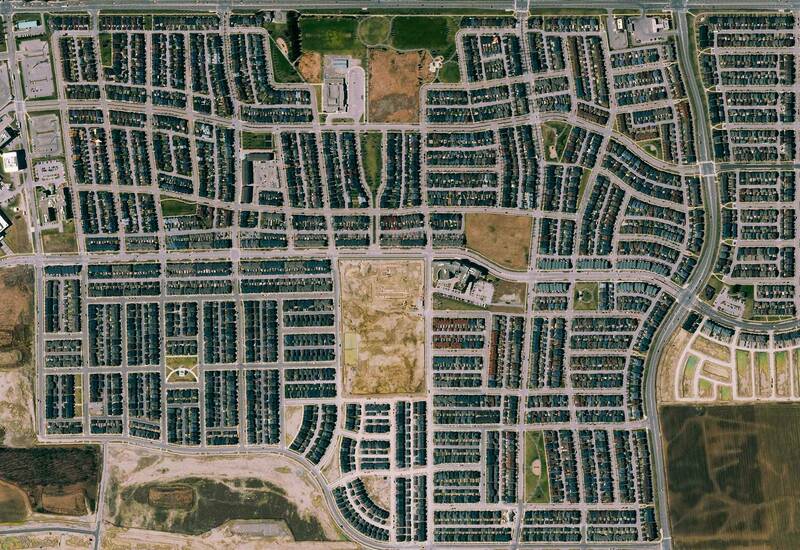 In its statement, the organization also said the province should give municipalities more flexibility to determine the types of housing they want to encourage, "instead of a blanket provincial preference for high density." OREA also said policy makers should encourage more innovative housing solutions, such as laneway housing or multi-unit homes, and should target infrastructure investing, such as transit, in places where it is most needed to help get land developed for housing. The real reason house prices in Toronto are soaring High demand and low interest rates aren’t the only factors behind insane house prices in Toronto and Vancouver. Evidence is growing that government 'greenbelt' policy restricting development is playing a major role. But good luck getting an urban planner to admit it. The province should be wary of quick fixes to a complex problem, warns Phil Soper, chief executive officer of realty firm Royal Lepage. Mr. Soper said he is not a fan of any tax changes or limitations on foreign buyers, saying they can have unintended consequences and could even lead to a crash in the real estate market. Instead, he believes the market will correct itself as more buyers stay on the sidelines when prices soar beyond their reach, returning the market to normal equilibrium. "A move to undermine consumer confidence in the market, rather than letting it work itself out, is likely to push the market into a deep and hard correction, and that's what all of us want to avoid," he said. "It's not a healthy market right now. But it doesn't need someone coming at it with a chainsaw. You need to let the body heal itself, and it will happen."